Joining us for the series finale is the very beautiful, Jenny! We are very happy to have her back in this very special episode. Speaking of the series finale, WHAT A GREAT SERIES it has been. They said that it will be a self-contained season, but IF they got renewed, the show’s creators said that they already had what season 2 would be. However, Once Upon a Time in Wonderland is no more. But we think that it was beautiful and appropriate. And did we mention beautiful? Any show ends with some unanswered questions so instead of theorizing, we decided to just discuss not only the series finale, but as well as some of our (and yours) favorite moments and lines. As the show begins with Amara and Jafar completing the spell, it seemed that they managed to work around the laws of magic or exceed them. However, the laws of magic did not change. Simply, Jafar and Amara was able to work around them, and they could easily be broken. It even seemed more like a change rather than breaking the laws of magic. Afterwards, Jafar has finally learned to the like the mirror shards. 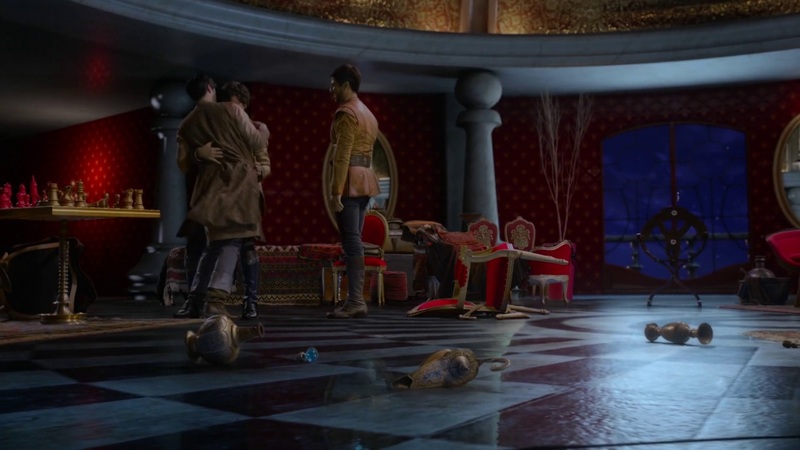 When the Sultan came, he told his son, “Love was not something I could just give to you, Jafar; you had to earn it.” Unfortunately, looks like Jafar doesn’t have the patience to follow the Sultan and killed his own father by drowning him from the inside. Was that his only motive the entire time? To do the same thing his father did to him? In this episode, Jafar seemed more like a spoiled brat — messing around thinking he can do whatever he wants because his parents were away. As Jafar talks to the Jabberwocky, are we the only ones who felt a bit sorry for the Jabberwocky when Jafar stick the Vorpel sword in her? She may be a villain but helped the good guys in the end. The actress that played the Jabberwocky, Peta Sergeant, did a really good job portraying the role; she seemed genuinely afraid and vulnerable before Jafar sticks her on the wall. Meanwhile at the White Rabbit’s home, as Amara was treating her son, the White Rabbit was complaining about the matching blood stains. Why did they take Cyrus all the way to Rabbit’s house BEFORE healing him? Why didn’t just Amara healed her son before going to the White Rabbit’s home? Speaking of Amara, she seemed super ambiguous in this episode. She was just all friendly with the rabbit even though she’s never met him before. Perhaps her perspective all throughout is the end justifies the mean. Kind of like when Rumplestiltskin used Regina to cast the Dark Curse in order to get to find his son in the land without magic. Back in Jafar’s castle, Jafar resurrected Anastasia and made her love him. It looked like Anastasia’s heart was changed without acting like she lost her memory. For a second there, we thought that she would come back the way Daniel did in Once Upon a Time — different like he was never the same. Also, Anastasia kissing Jafar reminded us of Princess Jasmine kissing Jafar in the Disney animated movie, Aladdin. It was so bad that it literally raised the dead from the grave. Who were the soldiers that Jafar resurrected? Were they the same knights that went after and tried to defeat the Jabberwocky? While Amara, Cyrus and Alice are in the woods, Amara seems so calm and collected; she knows and fully accepts her price to pay and never seem to ask his son to save her. She never seem to want her sons to save her but instead, accepted that it was her time to go to end the curse the Guardian of the Well of the Wonders put on her three sons. There were so many things said about love in this episode. They have probably one show that taught more morals about love than any other shows. It was so real and what it should be. 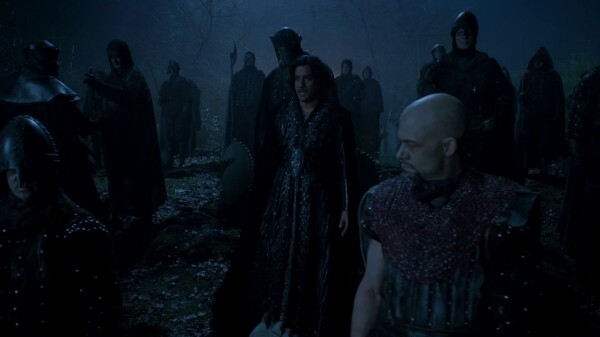 As Jafar talks to the resurrected knights, he told them that, “Whatever the obstacle, break it, burn it, kill it. Bring Wonderland to its knees!” But how did the soldiers find her so quickly when Wonderland was so huge and they don’t even have magic? Alice, on the other hand, gave bold speech as she talks to their allies. But why did Alice encourage anyone who is afraid to leave? Wasn’t it established in many other stories that bravery doesn’t equal fearlessness? Not only were Alice, White Rabbit and the soldiers cornered by Jafar’s knights, Amara and Cyrus, too. But unlike Alice, Amara was able to defeat all of the soldiers at the same time. But if Amara was just as powerful as Jafar, why didn’t she just make Jafar fall in love with her or change the past and had her sons not steal the water in the Well of Wonders? Then again, if she did, Cyrus and Alice wouldn’t have met. Why didn’t Jafar change the past? He was so brave to break two laws except change his past. Why? As the soldiers bring Alice to Jafar, why would Jafar even want to torture Alice like that? If he was so powerful, how come he didn’t use his power to track down Amara? Alice, on the other hand, seemed so brave; filled with hope and faith in their love, believing in something she can’t really touch or see, just something she knows. 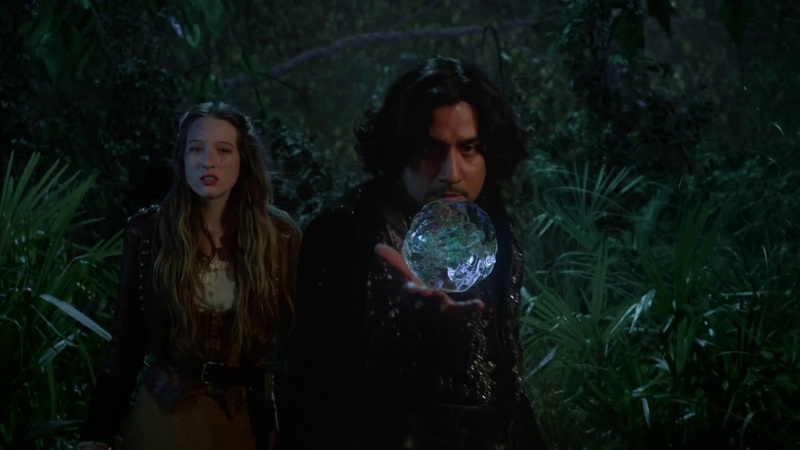 Using Anastasia, Jafar finally found out where Amara and Cyrus had gone. From there, the real final showdown begins. As Amara is about to give herself up to the Nyx, she seemed to finally show some emotion under the weight of this situation. Perhaps Amara learned not to show her emotion on her sleeve from being with Jafar for far too long? As soon as Jafar showed up, the guardian to the Well of Wonders, Nyx, simply disappeared below. Did the Nyx know what’s going to happen next? When Amara was starting towards Nyx, it looks as if the guardian was about to hug Amara, which is exactly how you open a portal. Brilliant plan for tricking Jafar for making him steal from the Well of Wonders. It may not be their original plan, but it was well-played out how everything ended up. Big congrats to everyone that theorized that Jafar will become a genie! But when Jafar was turned into a genie, Anastasia was back to being dead. Why did Cyrus not die? Amara healed him using magic, after all. Back in the castle, it was beautiful what Will said about love, explaining what love is — Real love is messy, but worth it. No matter what happens, you forgive each other. And even if he didn’t say it, seemed like Anastasia had finally got what she wants — his forgiveness. As he reach through the shield, Will kissed Anastasia, breaking the curse with true love’s kiss. Looks like True Love’s Kiss really can break any curse. As the curse broke, a lot of things happened. We almost wanted to see Nyx smile when Alice and Cyrus were together. But as Nyx was freeing Cyrus and his brothers, it was shown that the book about the genies was closed, undoing the spell. How symbolic. When the three brothers were reunited, however, the King piece in the chess set fell. Cyrus also told his two other brothers that it was for nothing as their mother still died in the process, but he explained everything to his brothers and told them Amara did it for everything. 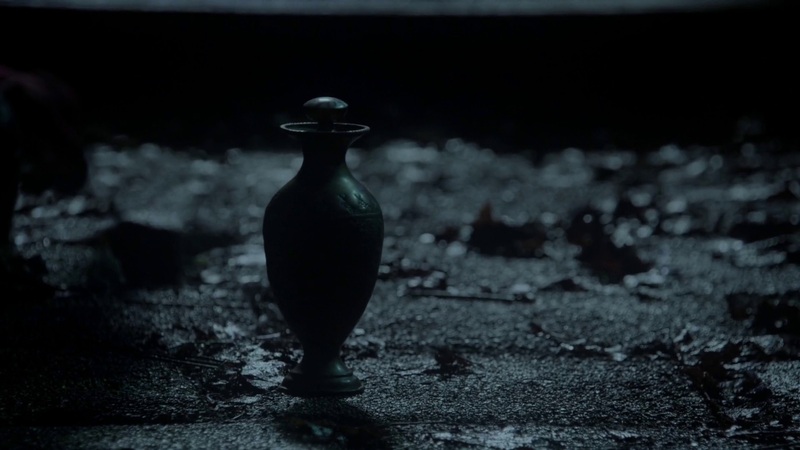 Not only were the three brothers reunited, Nyx also parted them with the water from the well to resurrect Anastasia. The guardian to the Well of Wonders said that the Red Queen was meant to move on, but whatever happened to “dead is dead” and “you can’t bring back the dead”? Wouldn’t this defeat the Laws of Magic’s purpose? This also had us thinking of the Lake Nostos, where Cora said in the episode “Queen of Hearts” said has a regenerating abilities. Could the well be like the Lake Nostos? It also seems that Nyx is like the Wonderland counterpart of Reul Ghorm, being both have the most powerful magic. Furthermore, it was endearing how Will called Anastasia “Sleeping Beauty” and she did look the part! Plus, Anastasia actually means resurrection. As Alice was getting ready for her wedding, it was great how her father remember everything. 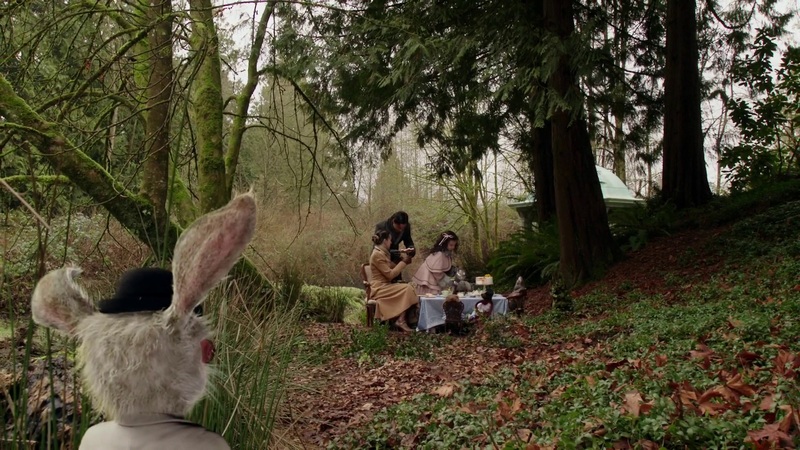 On the other hand, Alice’s stepmother looked weirded out being surrounded by people from Wonderland. Will objecting is so funny. It was also nice how they showed Alice and Cyrus’s wedding scene, without any lines; it was so perfect and beautiful. 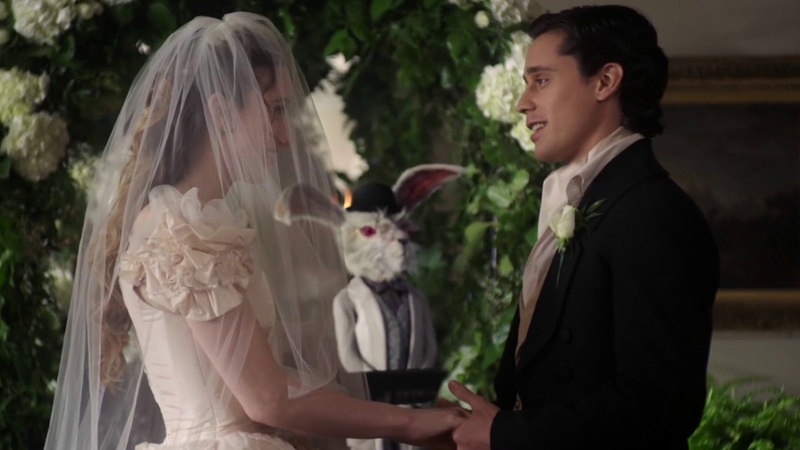 The White Rabbit also said one of the most beautiful lines as Alice and Cyrus share a meaningful look during the wedding that suggests a marriage is in their future as well. After the wedding, it was beautiful how the White Rabbit told her about Wonderland — “Many people have come and gone from Wonderland, but only the most special ones ever discover what it’s truly about… finding yourself.” Many of the themes they showed in the show, about anything else, is finding yourself. It was a very good tie-in back to the original story. It was also good that they ended the scene with Will and Alice bidding each other goodbye, which showed their true friendship. Back to the tea party, back to where everything started, Alice’s daughter holds a book with a picture of Anastasia and Will as the White Queen and White King. Perhaps the colors red and white were very symbolic, for now they tried to do good and clean up everything they did in the past. From afar, the White Rabbit was looking at the family. What was he doing watching Alice and her daughter? Was he there, this time, for her daughter? It was also interesting how the last line of the episode was, “Daddy” said by Alice’s daughter, given that the entire series have a lot of Daddy issues. This left a lot of long running questions unanswered. 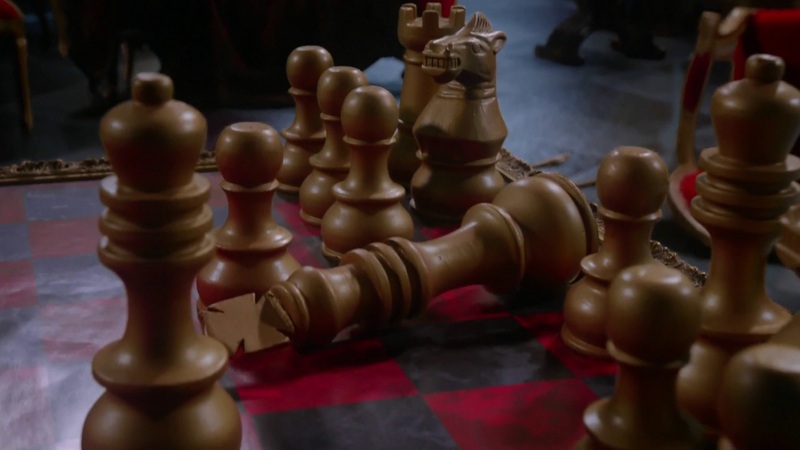 Questions never answered by final of once upon a time in wonderland how did young jafar come back to life? if amara wasnt evil why did she reaise jafar to be an evil sorcerer and sacrifice his friend? Why did Amara even tell the tail of the three genies and the big spell that rewrite laws of magic? Why did rewriting the laws of magic not actually rewrite the laws and only give Jafar and amara powers to break them? I would have thought rewriting laws of magic would rewrite them for all magic users, possibly in every land like storybrook aka Niel. 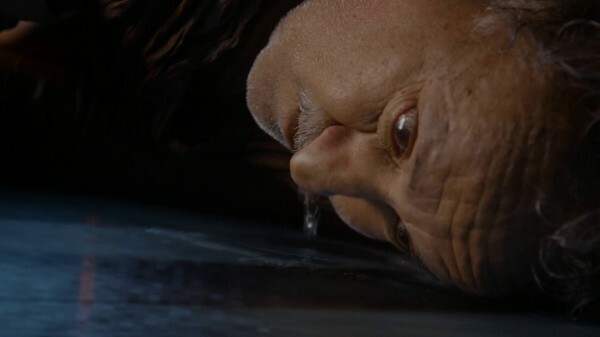 Also Why when their power was undown by returning the water, why didn’t the former genie Cyrus die since he was also killed by jafar and brought back by amara’s magic? Did they leave Jaber pined to the cell wall? We have learned that you can’t rewrite history with magic is a law of magic, yet the very last scene in Wonderland show indicates that this is not an alternate London like the Germany in A Land Without Color, but that Alice was the author of “Alice’s Adventures in Wonderland” imply that Alice’s world is our world and thus the same world as Storybrook thus the Rabbit wasn’t jsut traveling between realms but different times present and past. Which means you can use magic to travel through time which we saw with the hatters hat in season 1 of Once Upon a Time when the evil queen retrieved an apple from the past, but you can’t change history. Which I quess means that the reason the rabbit could travel to the present LWM Land Without Magic and past LWM is because it was Wills destiny to travel back and rescue alice and defeat jafar. But its never brought up by WIll or anyone else that essecntially they’ve been time traveling when they go to Alice’s london or Wills storybroon place. Also Will in storybrook. It’s never explained how he got there, whether he arrived after the curse or was cursed himself. If ater you’d expect him to be 28 years older, if before you’d expect people in wonderland to be 28 years older. Alice dosen’t count because they find he by space/time tunneling rabbit, but one person or the other Will or Anastatsia should be 28 years older. They never explain this. I think they messed up on the universe canon for Once and got lazy writting. What do you think? Apparently the well of wonders has the power to break magics laws. Listed Questions How did Jafar come back to life when he was drowned as a child? Who brought him back? 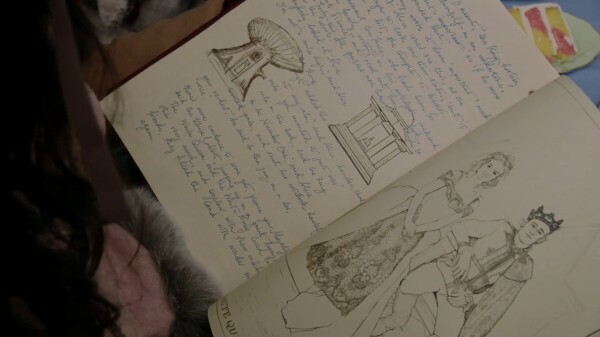 Time travel rabbit/discrepency with ages will/anastatsi concernign storybrook curse How will ends up in Storybrook? Why Amara raised Jafar to be evil if all she was going to do was free her sons? Why make Jafar kill an innocent man? Why didn’t Cyrus die whent the power was taken back? Why weren’t the LAWS of magic rewriten instead of Jafar and Amara getting super magical powers? Is Jaber still pined to the wall? Is Alice’s London our world? If so does this mean you can time travel as long as it dosen’t change recorded history? The story surely did leave a lot of questions. Unfortunately, these questions will be left unanswered. Looking back at the series as a whole, some of our favorite moments are the weddings and the goodbyes. We also liked the Red Queen and Alice’s banters, Alice and her father reconciling and later saving his life. Thanks for putting out such a great podcast! Anthony Gonzales designed a pretty collage for Will and Anastasia. My favorite part was everything with Will and Ana they are PERFECT! In addition, we also love all the Tweedle moments. I really loved the Knave, obviously. But I really came to like Alice as well. She remained pretty cool throughout. She reminds me of Emma and Snow. I loved the whole Cyrus centric story. We also liked the Red Queen and Alice’s banter on the cliff, as well as the Jabberwocky’s dialogue. Seeing Cora, of course, is also one of our most favorite moment, as well as Will getting his heart back and loving Anastasia even after he got his heart back. Have we mentioned seeing Cora as one of our most favorite moments? It definitely satisfied our expectations. We also liked discovering who Anastasia was, and the Alice and Cyrus’s wedding. 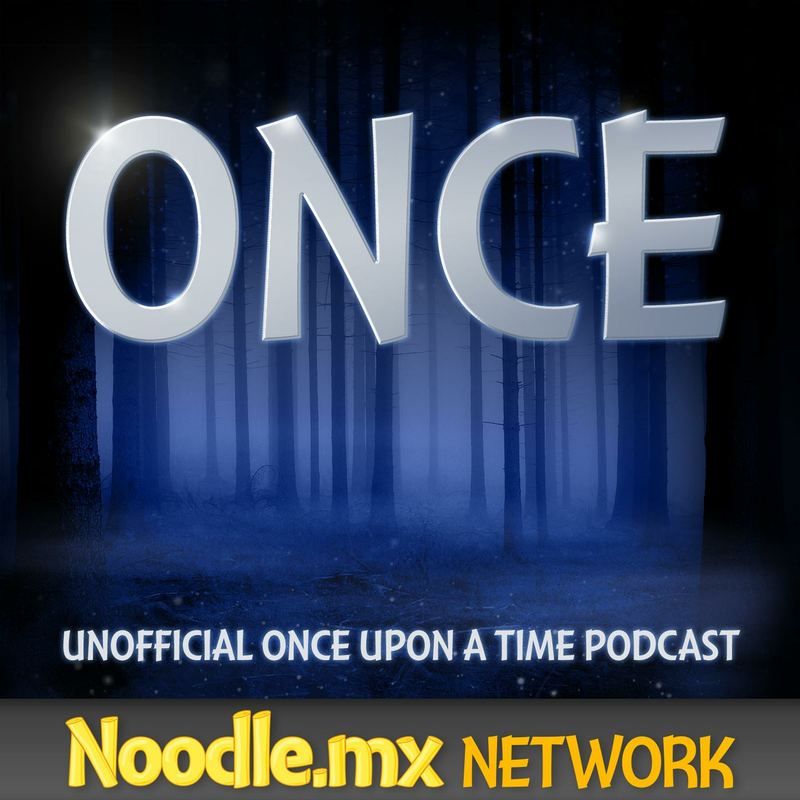 Speaking of Once Upon a Time, Michael Socha is coming to the show as a series regular, had the show was going to be renewed for the fourth season. Wonder where they might take the show and how will he tie-in with the current story? Will used to live in Storybrooke, but Michael Socha’s addition to the cast should be a comic relief to the story. But is there any way that Anastasia, Emma Rigby could also be in the show? We’ll see.